Let's see...pretty calligraphy, letterpress and watercolor details. 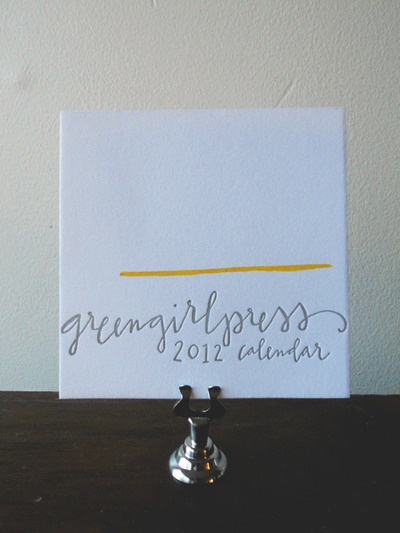 I'm in love with the 2012 calendar from greengirlpress! Amy Rau is the mastermind behind greengirl and a really wonderful printer friend to me. When I was first learning the ins and outs of letterpress, she was always there to share her knowledge and encourage me. She was the one who printed Allison's invitations beautifully and I'm really excited that she has agreed to print another invitation suite for me this summer! 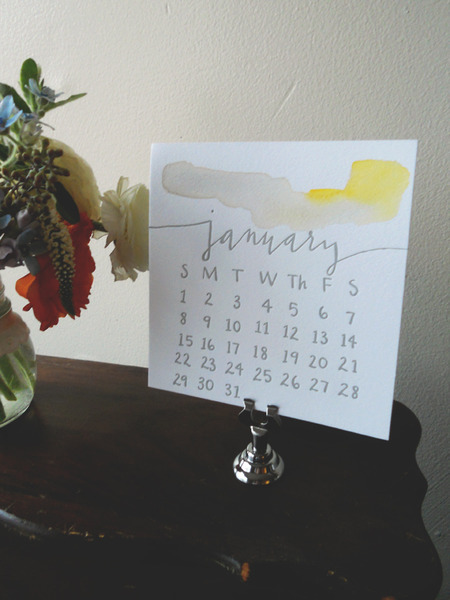 Amy was kind enough to send me one of her 2012 calendars and I'm so glad she did...I've been especially loving February this month with the sweet little heart. :) Check out all the months below with spotlights on some of my faves, and please do check out Amy's website and etsy!